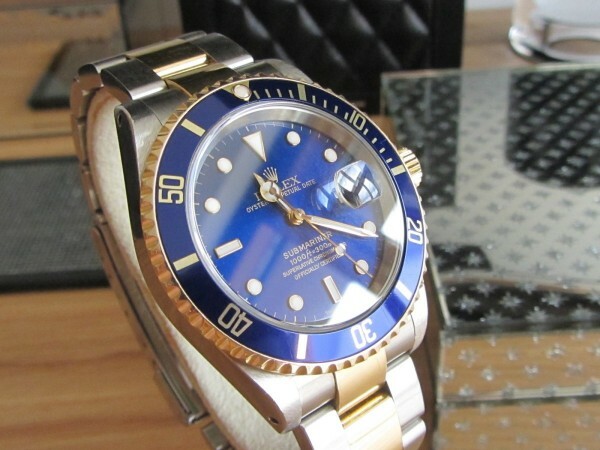 The Rolex Submariner Bi-Metal 16613 Blue Dial Stunning piece. 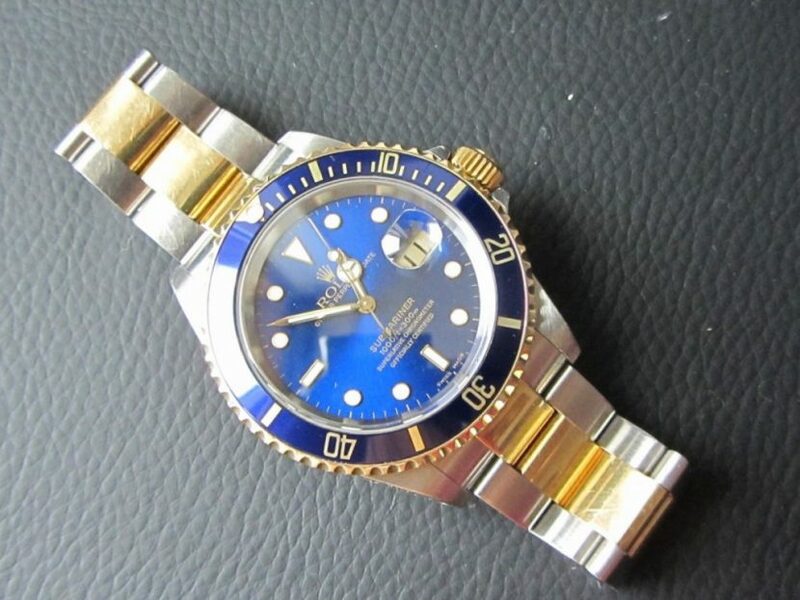 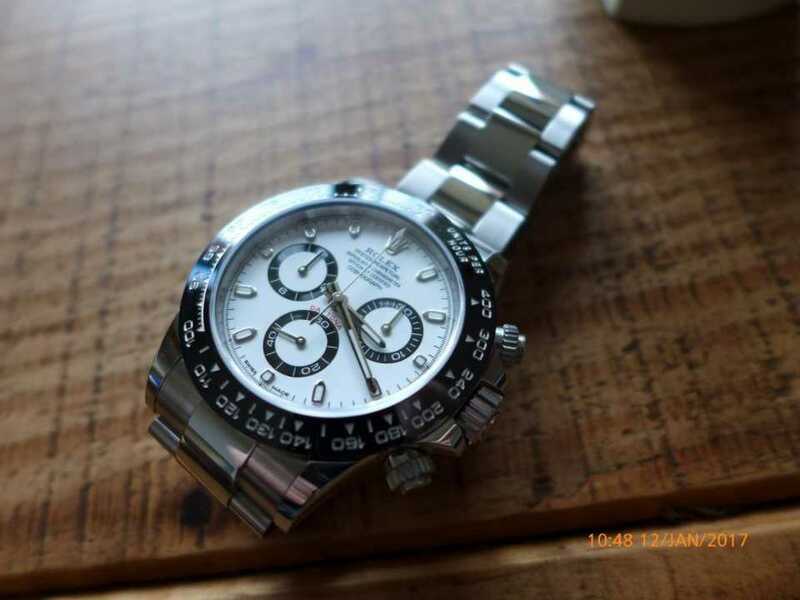 This is one i should have kept but sadly parted with the Rolex Submariner 16613, one of the nicest Bi-metal Rolex’s in my opinion, everyone knows and loves the iconic Sub 16613 with the stunning blue dial and bezel. 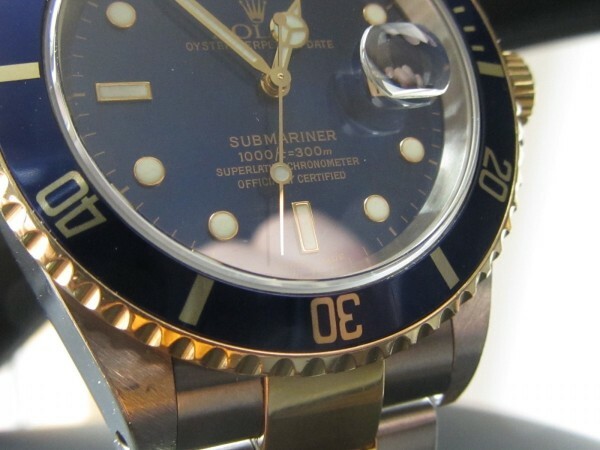 Bi Metal submariners started early 90,s which as Submariners been going for such a long time and became the best selling Rolex’s, so around 1970,s added the date version with a non quickset date function to the Sub, hence later on they started different variations dials, bezels, solid 18k gold etc ….. All later versions got sapphire crystal glass with a quickset date change function. 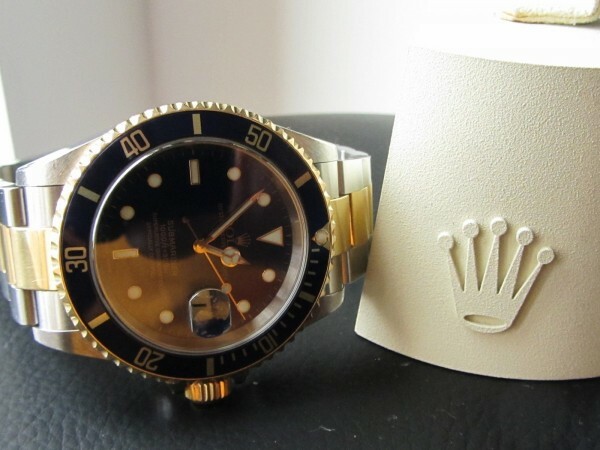 The Submariner range is not the most desirable Rolex in the world as some others but there best seller to date. 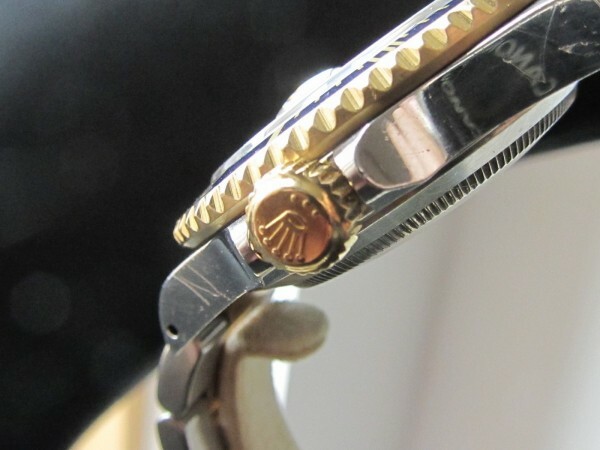 A truly iconic timepiece the bi metal Sub and much preferred to its new ceramic version.